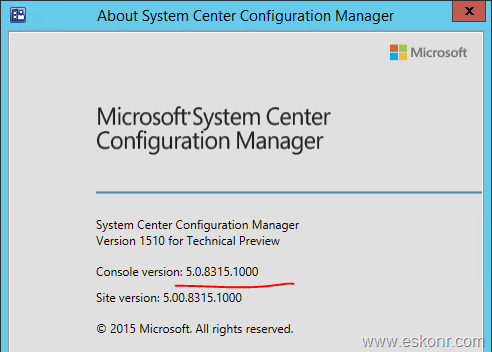 Microsoft is bringing exciting features into Configuration manager product and making things more and more easy in all aspects to manage the infrastructure.Last month (September 2015) ,Microsoft has introduced new features into Configuration manager (expecting it would be called 2016 )technical preview 3 (Version 1509 ) called ‘Updates and servicing (this replaces the need to install separate service packs, cumulative updates, or Extensions for Microsoft Intune)’ and New look /update for Software Center (Apps that are published to users will be available in software center as well). 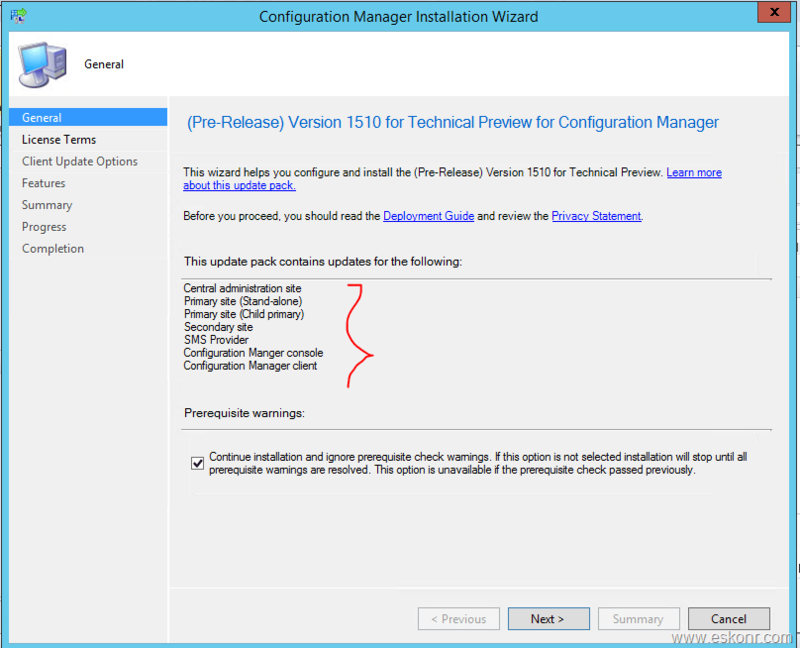 You can install this update (1510) on Technical preview 3 with Version 1509 or earlier versions also. 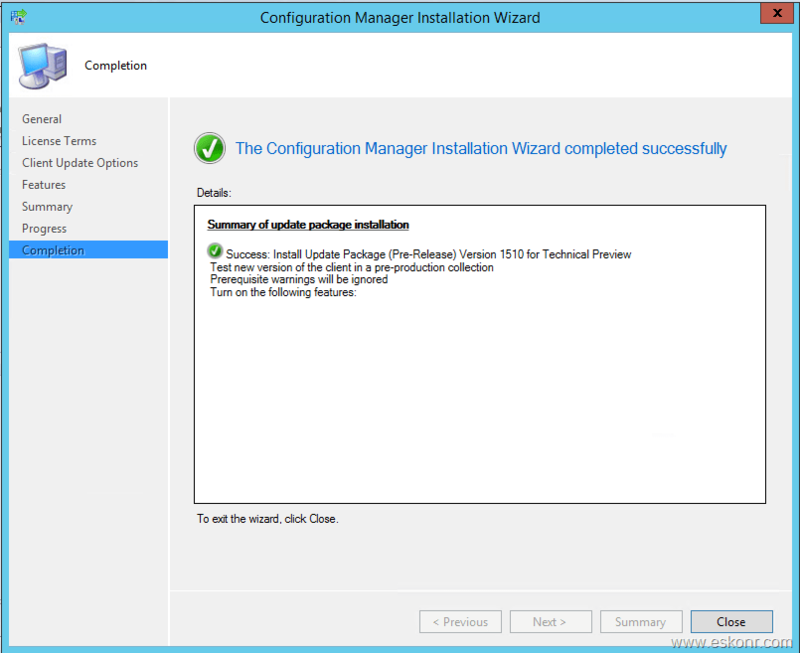 You do not need to install 1509 before installing 1510. In this release, you can view the state of Windows as a service in your environment, create servicing plans to form deployment rings and ensure that Windows 10 current branch systems are kept up to date when new builds are released, and view alerts when Windows 10 clients are near end of support for their build of Current Branch or Current Branch for Business. System Center Configuration Manager Version 1510 adds support for remotely wiping and retiring devices for on-premises mobile device management (MDM). 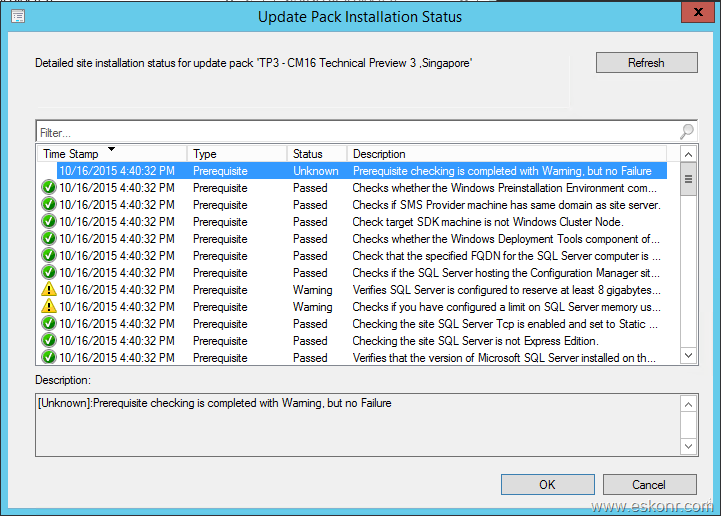 I have already updated my Configmgr TP3 to September month released version 1509 using update servicing feature. Before you update to the latest version (if you are on 1509 or earlier versions),make sure you have internet connection as it downloads the entire content before it starts updating your site to 1510 version. 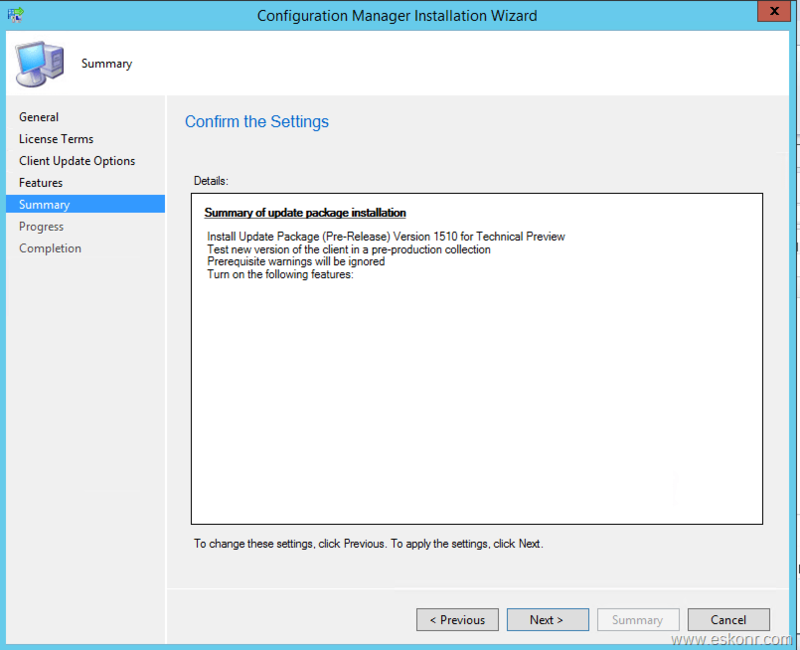 If you are starting from scratch to install Configuration manager technical preview 3 ,you must download the TP3 version from here ,install it like other Configuration manager 2012/TP3 versions with all the prereq ,once you are done with that ,continue to update to latest version using steps below. 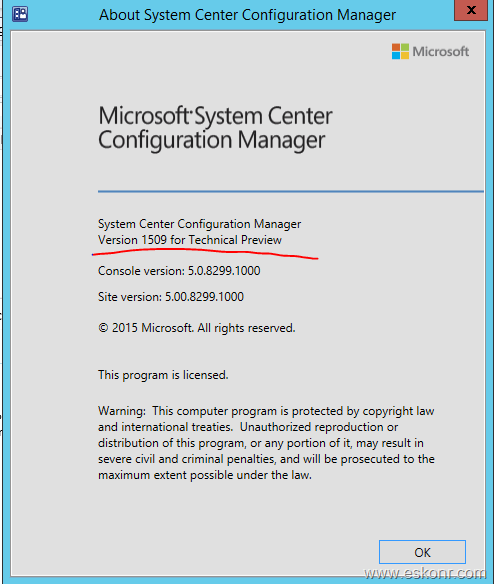 Updated version 1510 for TP3 not yet shown in the console which could be that,My SCCM having issues with internet. Check log DMPDownloader.log (as this is for Cloud services) from your Configmgr logs directory. By default,it is scheduled to sync every 7 days to get latest updates. Now we will force to sync by restarting SMS_Executive or simply restarting the SMS DMP Download manager component from Monitoring node\site hierarchy\component status .I will simply restart the component instead of restarting the sms exec service. Start monitoring the DMPDownloader.log . 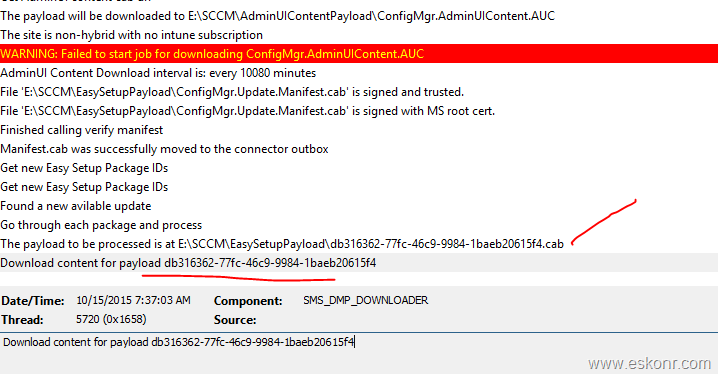 You can see that,download has been initiated and store the content under folder E:\SCCM\EasySetupPayload\. After a while,you will see ,it is installed successfully . Console is still opened in my lab ,so I went to see the version of the console ,it immediately prompted window to upgrade it to new version.So click Yes,it will close the console and upgrade to new version. With this Update (1510),new feature introduced called windows 10 servicing into software library node .more to be tested on this feature. Clients that are part of preproduction collection will receive the policy about the new SCCM client and will be installed automatically . Login to the the client PC that is part of pilot collection ,should have new version 5.0.8315.1000.
that’s it for now and more about the features introduced with this TP3 update in next blog. 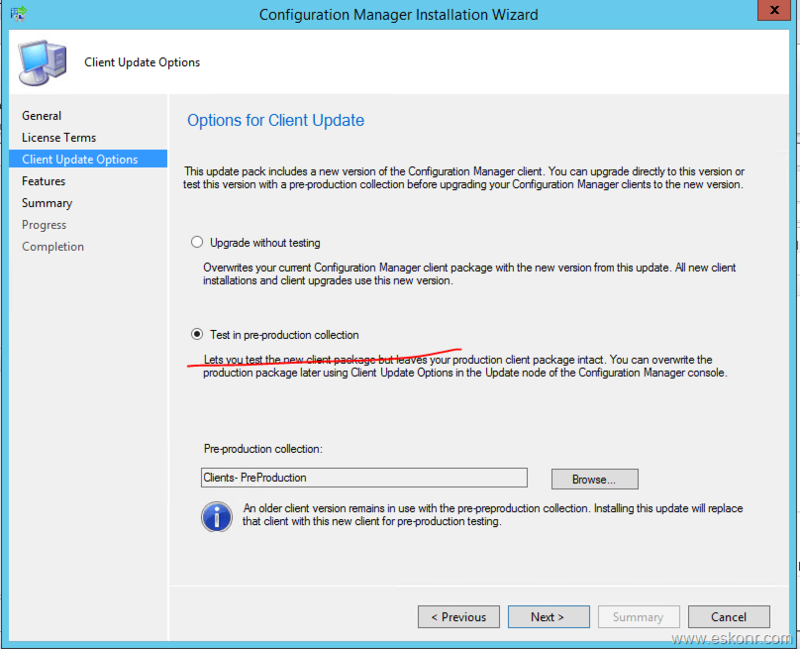 One Response to "Configmgr Vnext Technical Preview 3 released (Version 1510) with some exciting features"
thanks for writing us, helpful information.